Ryan Gosling might be the world's fantasy boyfriend, but that doesn't mean we have any say in what this man does to his hair. The Notebook actor shocked the world today when it was revealed that he was sporting an entirely new look that made The Gos look completely and utterly different from the light-haired heartthrob we know and adore. Is that a bad thing? Heck, no — Gosling is gorgeous no matter what color his hair is. 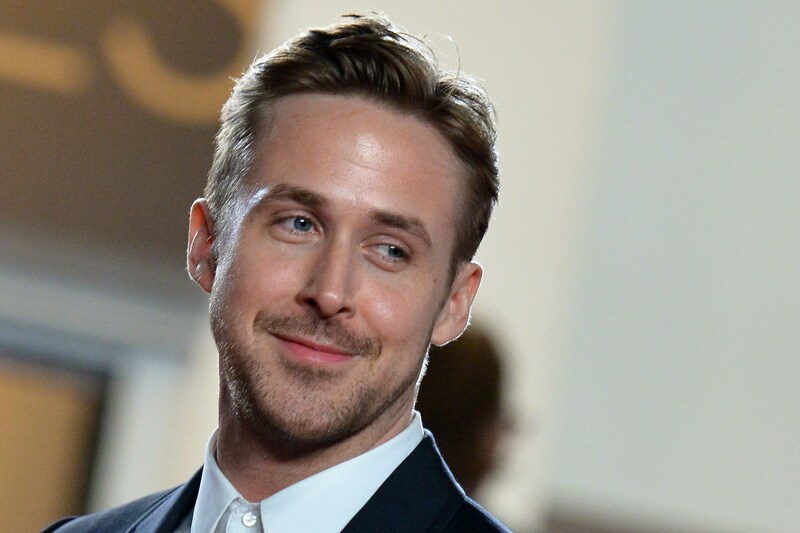 If we can love Gosling in Lars And The Real Girl, where his girlfriend is literally a blowup doll, then I think we can accept Gosling as a brunette. That's not to say that a dark haired Gosling isn't a major change. It totally is. I'll probably never be as used to seeing Gosling with a near-black mane as I will seeing a sandy-haired Gosling. Of course, this isn't a hair change that the actor made just for the sake of switching things up — he did it for a role in an upcoming film. Gosling will star in The Big Short , a star-studded film about the housing crisis that somehow sounds way less interesting than the thing happening to Gosling's hair at this very moment. Totally mind-blowing, right? Here are the stages of finding out that Gosling has gone over to the dark side, in GIFs. I did NOT fall in love with a brunette. Maybe after this movie he'll go back to his normal, beautiful hair. BUT WHAT IF HE DOESN'T DO THAT? Well, I guess it's still Ryan Gosling. How bad can it be?